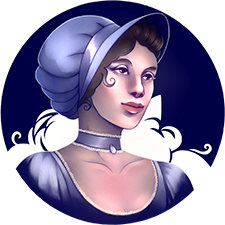 Good Society is a collaborative tabletop roleplaying game that seeks to capture the heart, and the countenance, of Jane Austen’s work. Good Society is an easy to learn, story driven game. It’s perfect for both new and experienced players who want to tell stories of scandal, reputation, and of course, romance. Register to play at their table before 11AM or at the Indie table after that.